This book offers a new critical perspective on the perpetual problem of literature's relationship to reality and in particular on the sustained tension between literature and historiography. The scholarly and literary works of W.G. 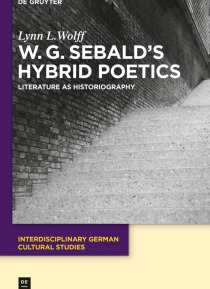 Sebald (1944-2001) serve as striking examples for this discussion, for the way in which they demonstrate the emergence of a new hybrid discourse of literature as h… istoriography. This book critically reconsiders the claims and aims of historiography by re-evaluating core questions of the literary discourse and by assessing the ethical imperative of literature in the 20th and 21st centuries. Guided by an inherently interdisciplinary framework, this book elucidates the interplay of epistemological, aesthetic, and ethical concerns that define Sebald's criticism and fiction. Appropriate to the way in which Sebald's works challenge us to rethink the boundaries between discourses, genres, disciplines, and media, this work proceeds in a methodologically non-dogmatic way, drawing on hermeneutics, semiotics, narratology, and discourse theory. In addition to contextualizing Sebald within postwar literature in German, the book is the first English-language study to consider Sebald's A uvre as a whole. Of interest for Sebald experts and enthusiasts, literary scholars and historians concerned with the problematic of representing the past.